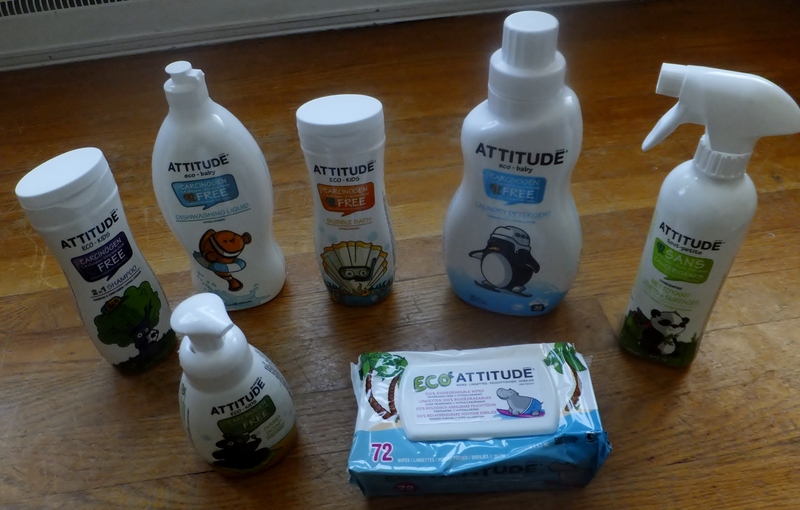 I was sent a package of ATTITUDE products to review with my family. 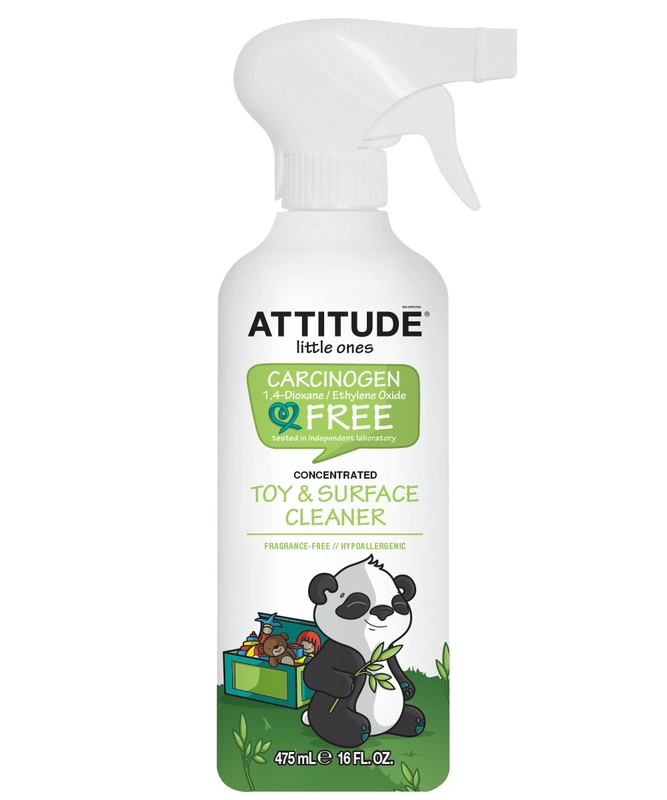 ATTITUDE provides baby-friendly, carcinogen-free, environmentally-preferable (just to name a few) cleaning and care products. We have been diligently using and loving each of these products! 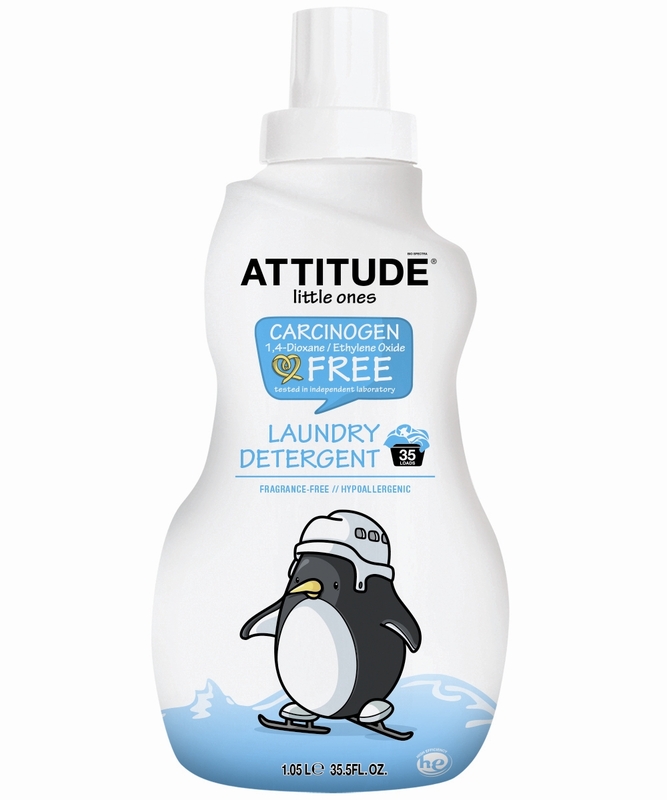 The Laundry Detergent has worked great to get our clothing clean and I love that it is “free of any chemical linked to cancer (not even traces! ).” Plus it is septic safe and not tested on animals. It is currently on sale for $8.99. The Dishwashing Liquid has been great to have on hand for those dishes I do not run through the dishwasher. I have to admit that I am a bit of a dishwashing liquid snob. I buy many of my household products in generic brands but I always purchased a specific brand name dishwashing liquid because it was the only one that worked well. 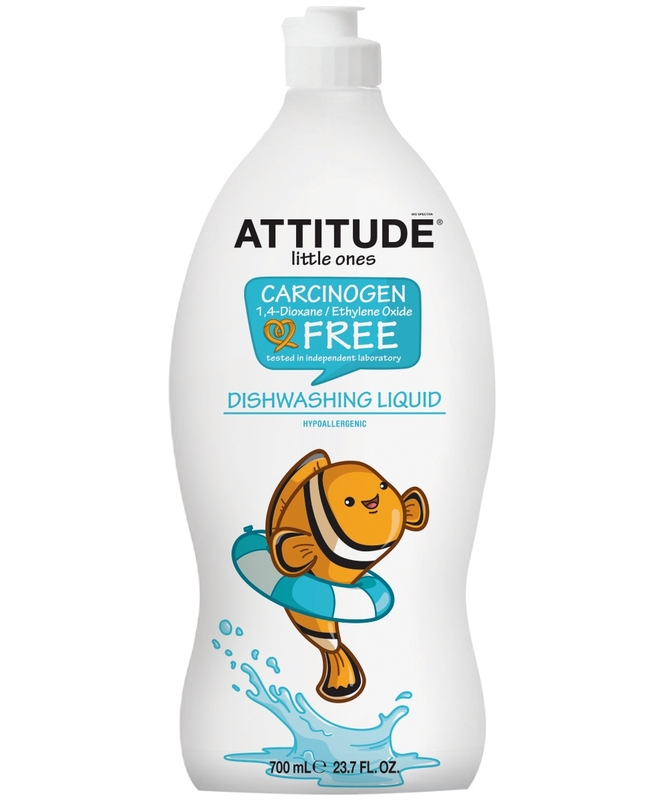 I am happy to say that ATTITUDE dishwashing liquid has passed my test and really does get my dishes clean. It also has the benefits mentioned above for the laundry detergent. You can purchase it on sale for $3.99. The 2-in-1 Shampoo has been a great product for us. With two daughters that have lots of hair we go through a lot of shampoo. I worry about what is in our shampoos because it runs down their faces as we rinse it. 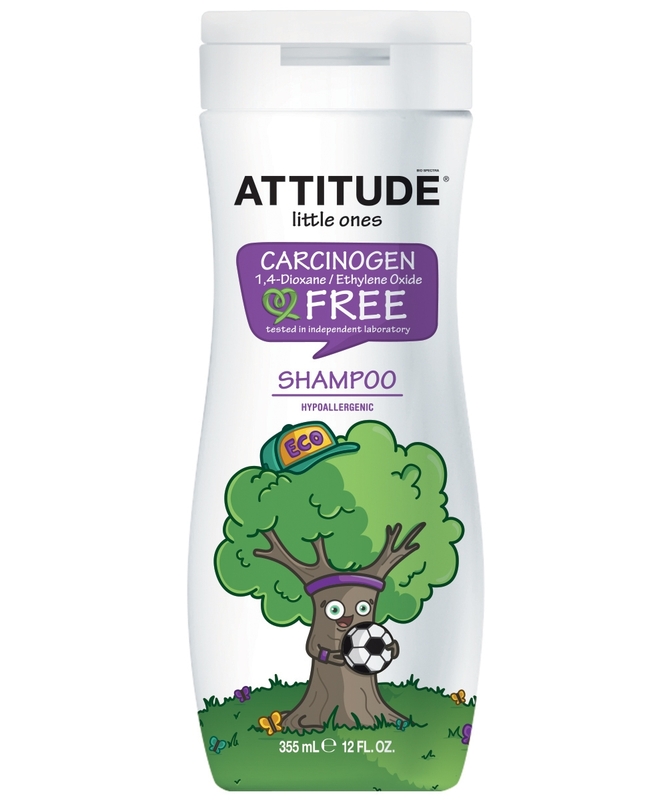 I love knowing that this shampoo is vegetable based and free of harmful chemicals. You can purchase it on sale for $7.99. The Bubble Bath is something my girls look forward to. 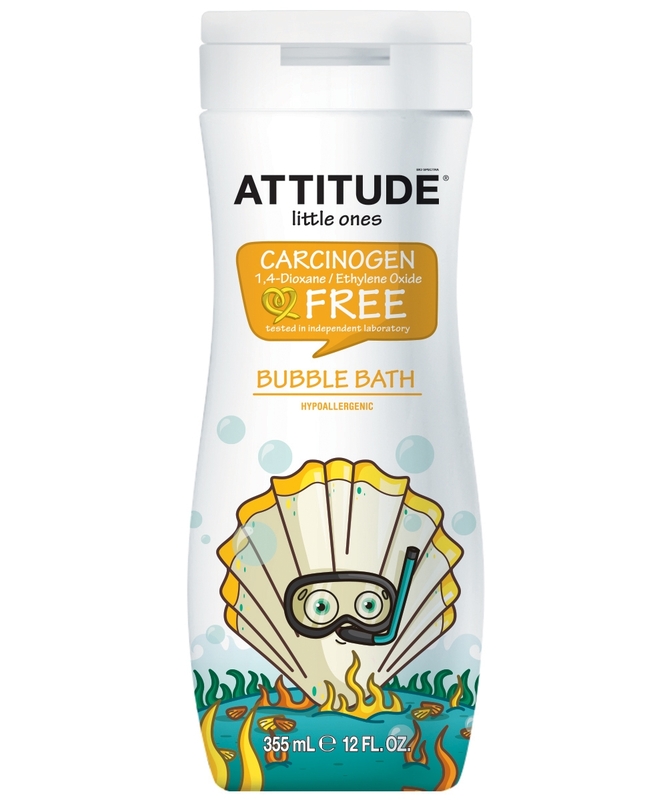 Most natural bath products do not produce the fun bubbles that every child wants in their bath. Though this is carcinogen-free and eco-friendly it still has a nice naturally-derived fragrance. We absolutely love this product and you can get it on sale for $7.99. The Foaming Hand Soap is another great product for the bathroom. 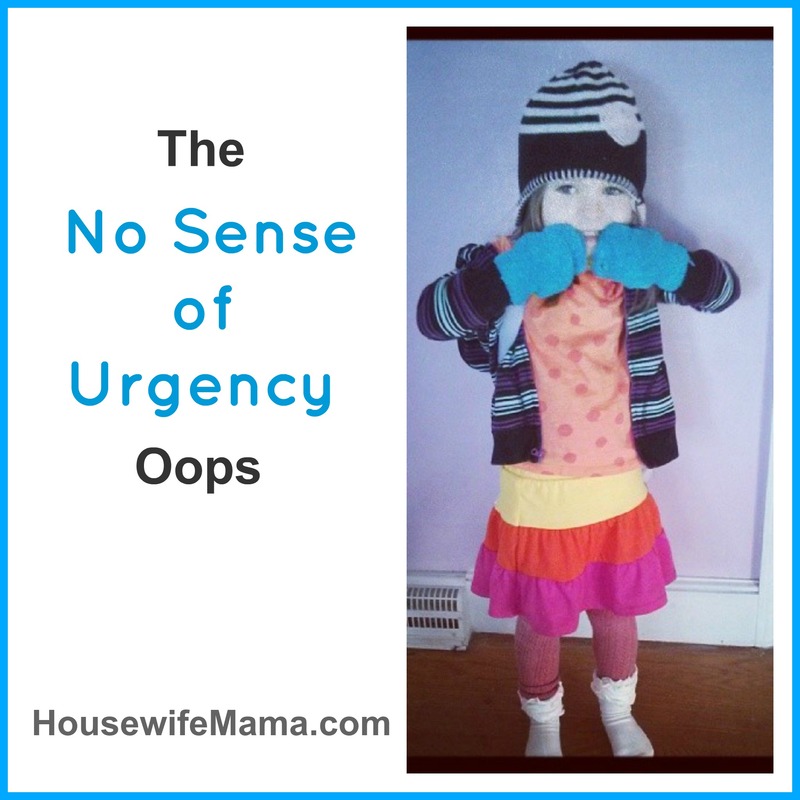 My girls love how foamy the soap gets and I love the safe and eco-friendly ingredients. We will be sad when this runs out. You can purchase it on sale for $4.99. The Baby Wipes are a great product for on-the-go. I threw this into my diaper bag and have gone almost entirely through the package. 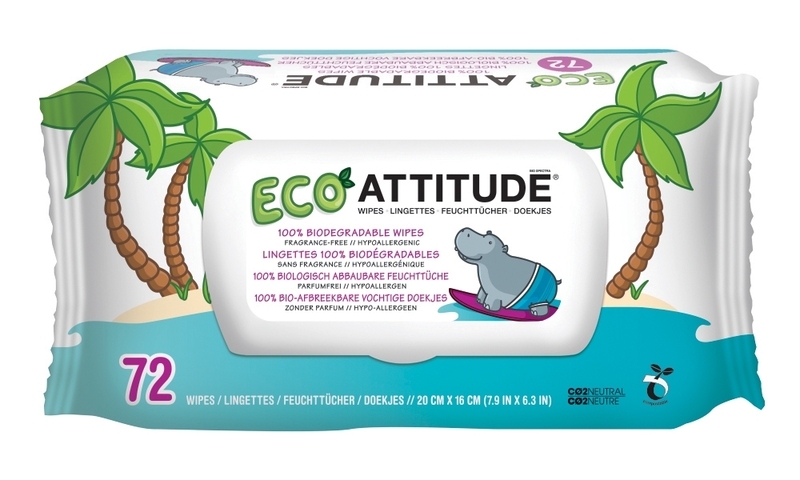 Baby wipes are used on our children’s most sensitive parts and we should be conscience to what they are made of. I love that these are vegetable-based and biodegradable. You can purchase a pack on sale for $5.99. 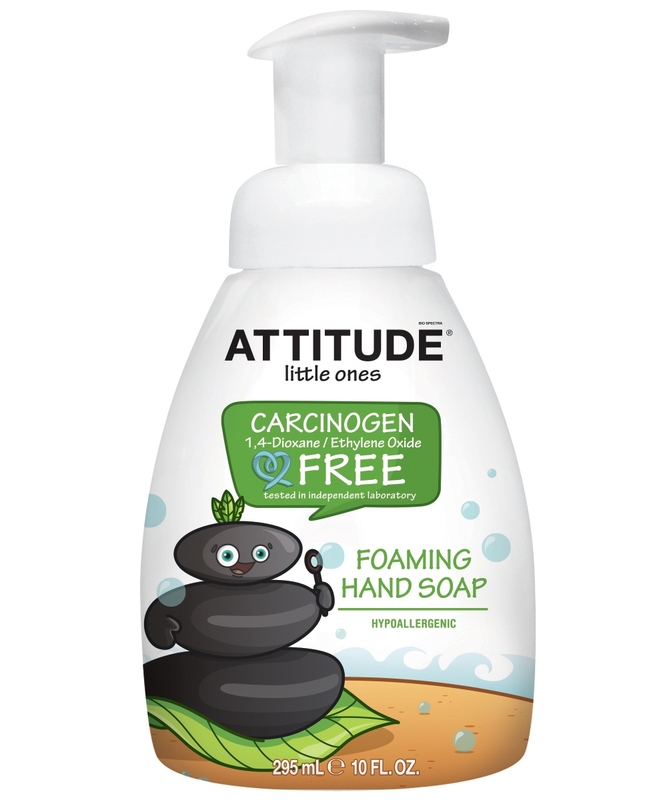 ATTITUDE carries so many other great products which you can view here. Overall, it has been a privilege to try out these amazing products and I know you will love them. They are safe for your family, friendly for the environment and even have fun packaging that everyone will love. I was not paid to write this post. I exchanged my review for this product. These are my own opinions. I was sent a Baby Bullet System to review. I have used food processors in the past for making baby food so I was excited to try out a system created for the purpose of making baby food. It was very simple to set up right out of the box and we got right to making banana baby food. As you can see I added some yogurt as bananas are not the most liquid-y fruit. 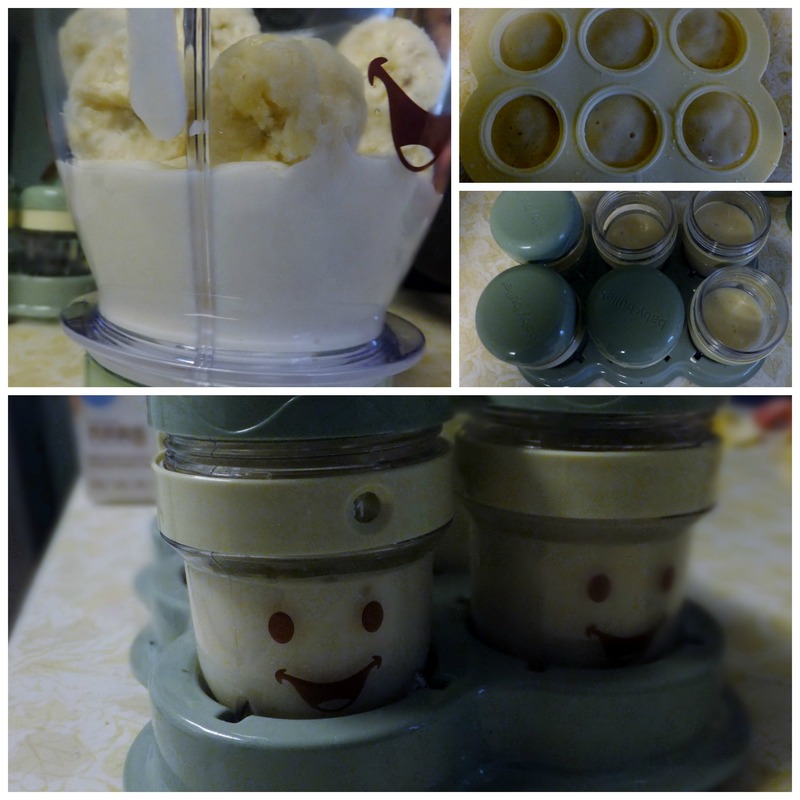 They pureed up fast and smoothly and we were able to pour them into the individual cups and freezer tray very easily. 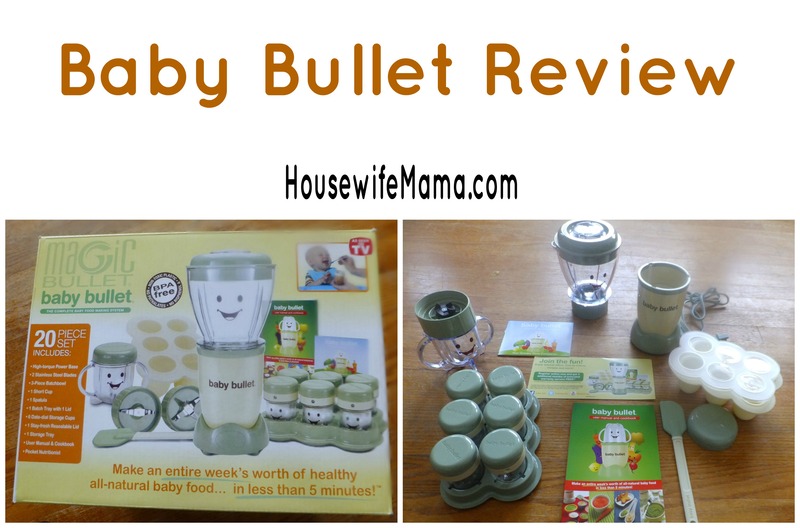 The Baby Bullet comes with so many great features and tools like the recipe book, spatula and more. Under the Rainbow Giveaway Hop! 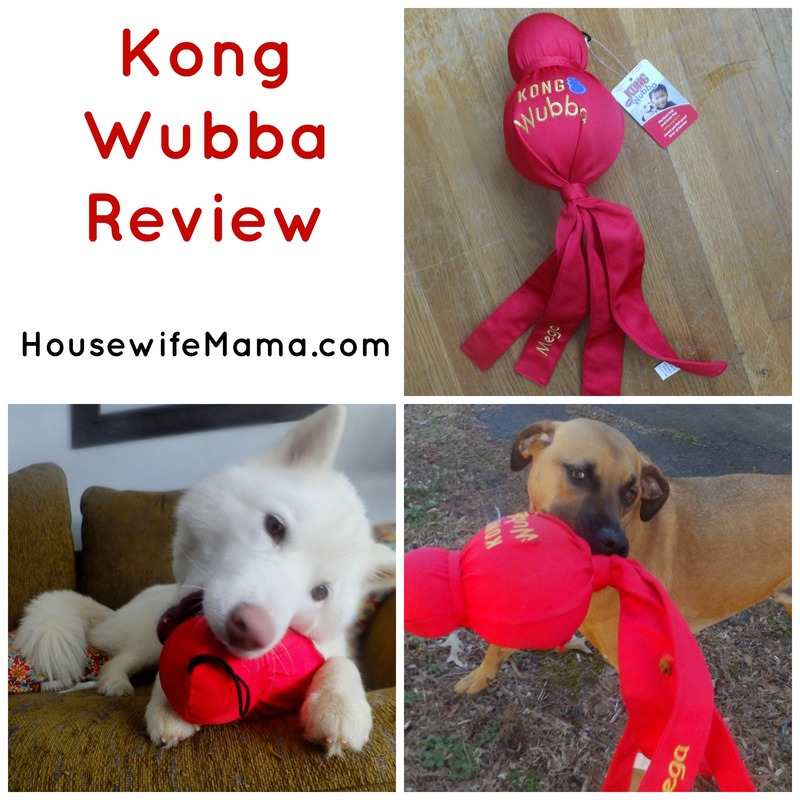 EntirelyPets.com sent me a Kong Mega Wubba to review with my 2 dogs. I already knew of Kong as being a quality product and was excited to try it out on my rough players. 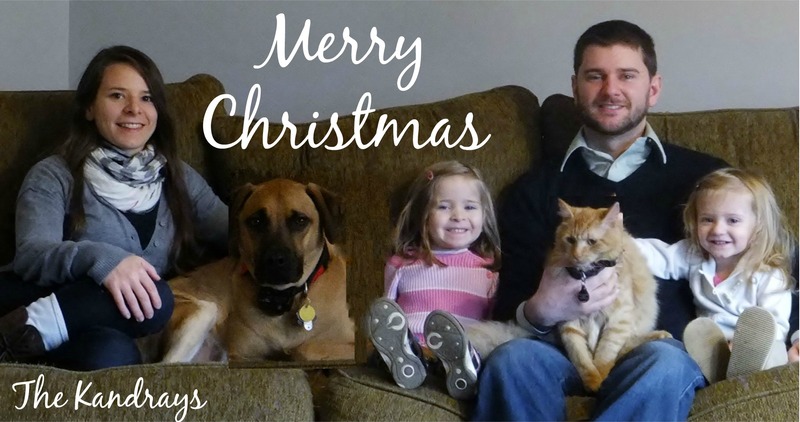 Together they have destroyed more stuffed animals and wooden toys than I care to recall. It was time for something they could not tear apart in .04 seconds. My 2 year old Husky mix Hera has teeth that can chew through just about anything. She took right to the Kong Mega Wubba and went to town gnawing on it. She has punctured a couple of small holes but has not ripped it beyond that at all. I was impressed. We then tried it out on our 3 year old Rhodesian Ridgeback mix Zeus and he had his way with it as well. He whipped it around until he could barely move anymore and still the quality was spot-on. Again, I was impressed. 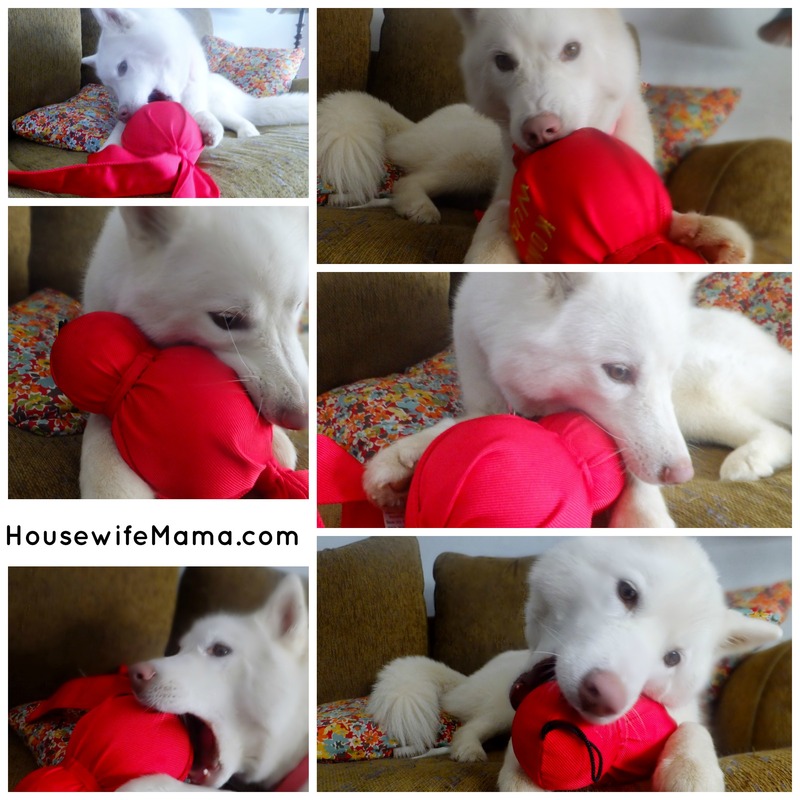 We have purchased cheap dog toys in the past but have now experienced the quality of Kong and will be loyal purchasers from here on out. As someone who has tried several cloth diaper detergents and soaps I have finally settled on a laundry solution that we love. I use Molly’s Suds Cloth Diaper Laundry Powder exclusively. So, why do I love it? Well, most importantly, It works. If you frequent cloth diaper communities you will, without at doubt, hear others talking about their diaper laundry and the problems they are having with it. 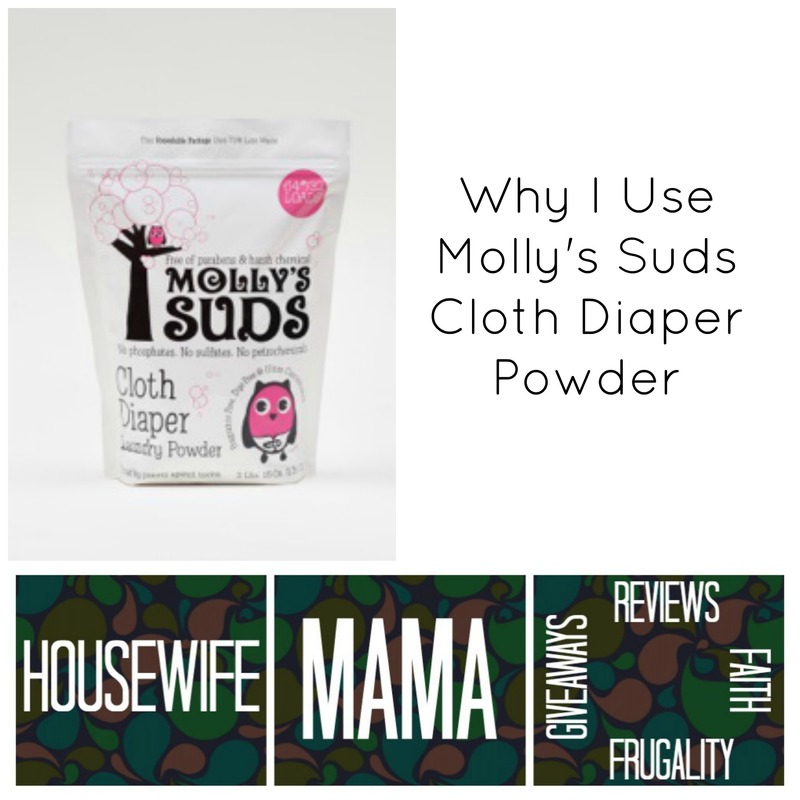 As someone who does not use a diaper sprayer and has a front-loading washing machine (yes, you read that right) , I swear by Molly’s Suds Cloth Diaper Powder. Even more, I do not add extra water or extra rinses. I simply follow the instructions on the bag and it works, every time. So, what is my routine? Just like I mentioned, I follow the directions on the packaging exactly. First, a warm rinse, next is a hot wash with the laundry powder (I use 1.5 scoops since I have a front-loader). Important: I put my powder directly on my laundry in the machine. I do not use the soap dispenser. Next is two warm rinses. That’s it. Clean diapers every time. Another reason I love using Molly’s Suds is because it is free of fragrances, dyes and harsh chemicals that could harm your babies skin. 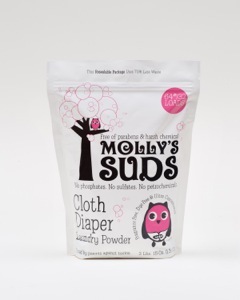 If you deal with diaper rash regularly, I suggest giving Molly’s Suds a try. Check out my Molly’s Suds Ambassador bio here. 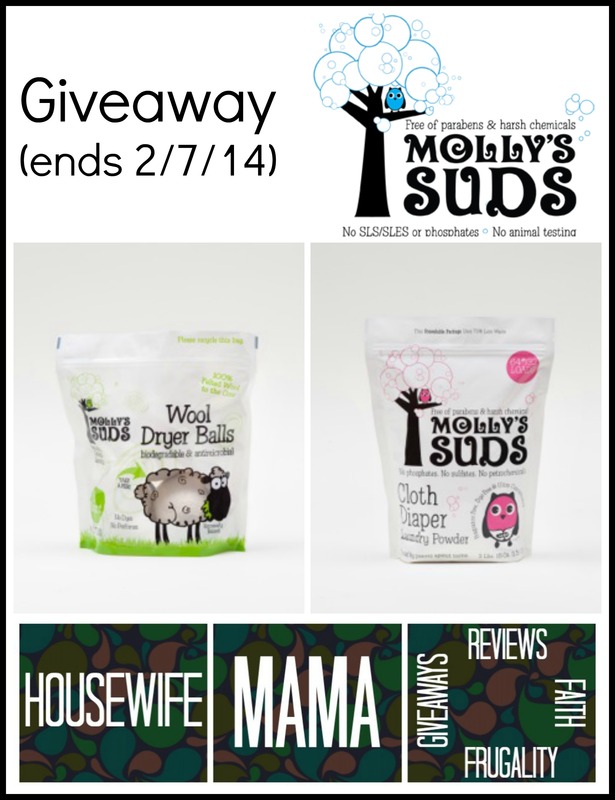 Because Molly’s Suds is so awesome they are giving away a bag of their Cloth Diaper Laundry Powder and Wool Dryer Balls to one of you. 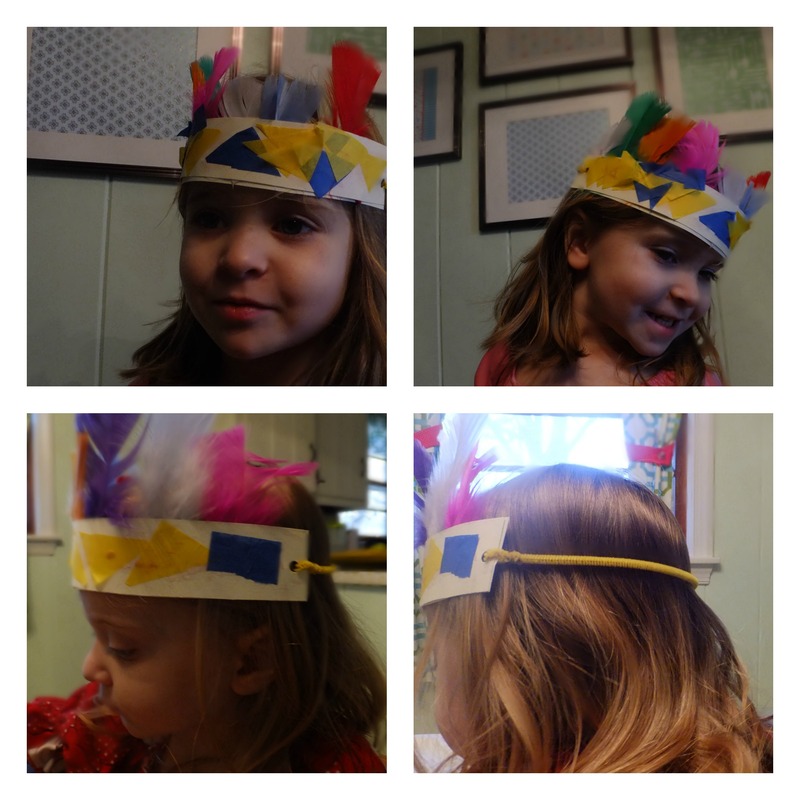 We took on the final Mom Trusted Kids Craft Blogger Challenge of 2013. Turn to Mom Trusted for hundreds of kids activities for you and your family. 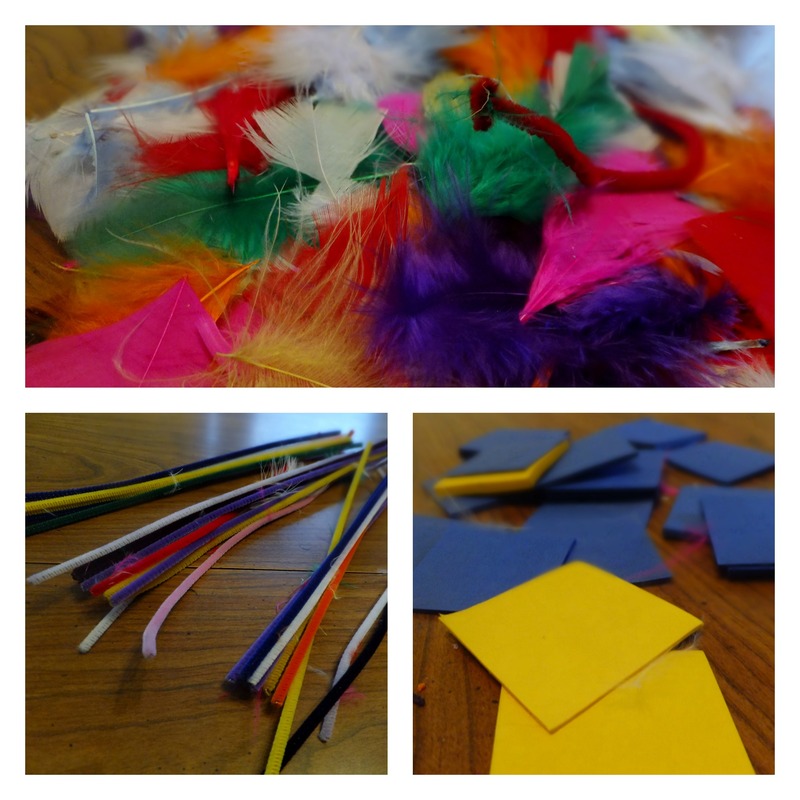 The supplies sent to us were: Feathers, pipe cleaners an thin paper squares. My girls are 2 and 4 years old so I wanted a craft that they could do most of the work on their own and display proudly on themselves. 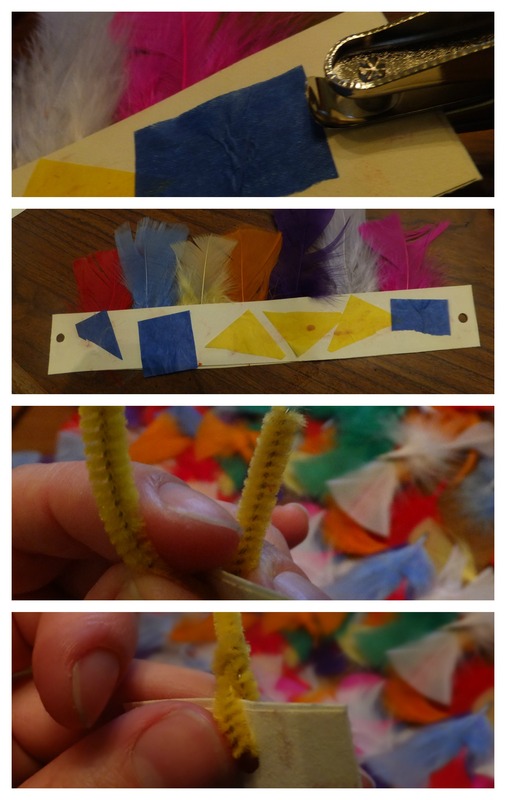 Our first step was to gather a few other supplies to complete our craft and that included: glue, hole puncher, scissors and thick paper (we used resume paper) We cut the paper into 2 inch strips (2 per craft). and cut our little paper squares into shapes as well. Next we glued the shapes onto our strips and let them dry. 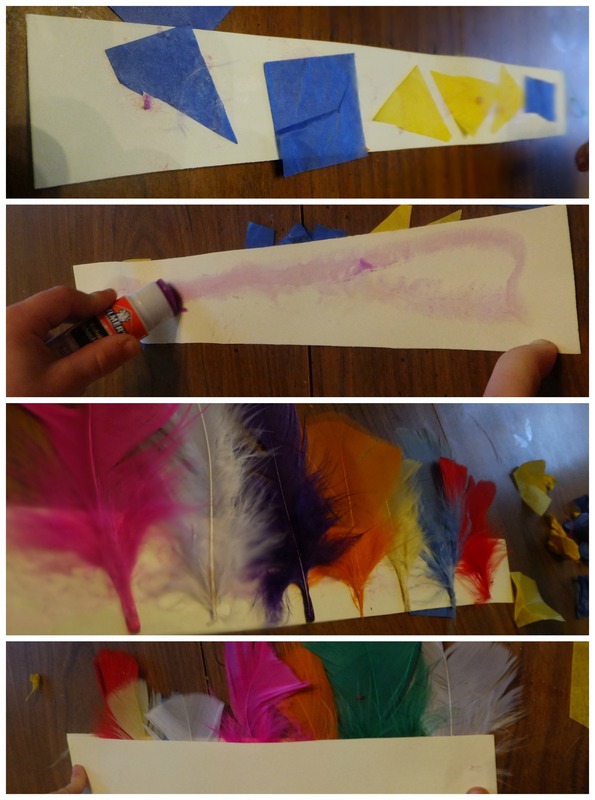 We flipped over our paper strip and glued feathers onto the other side, making sure that most of the feather stuck out over the the top. 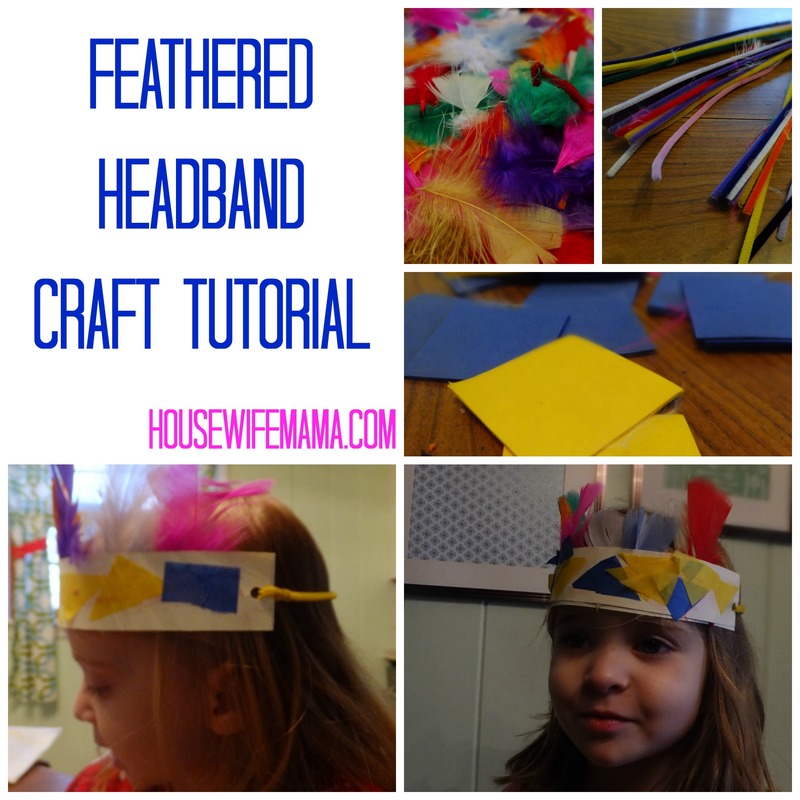 We then glued the other paper strip on top of the feather stems so that the backside of the headband would be paper (to help secure the feathers and keep skin irritation to a minimum). We then punched a hole in either side of the headband and fed a pipe cleaner through the hole, twisting it around itself to hold it in place (make sure the sharp edge is tucked under). Unlike most of my crafting, these actually came out exactly as planned. The girls both loved making these and showing them off too!